Two photographs of John and Emelia Dittman of Alma, Kansas. 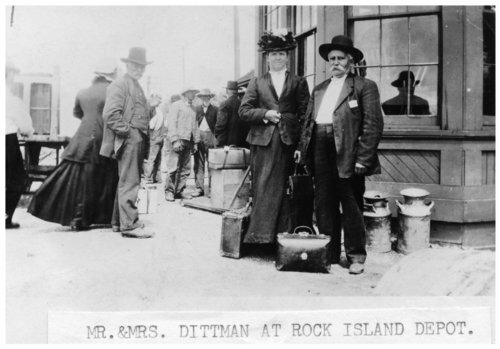 In the first photograph, the couple is seen waiting outside the Rock Island depot in Alma. In the second photograph, the Dittmans are sitting in the backseat of an automobile.